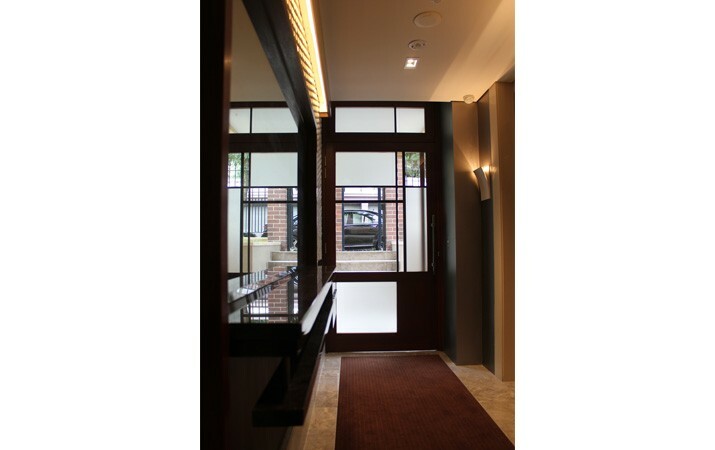 The ARIA Residence Owners Corp. approached 2RKS Architects with the brief of altering the existing entrance to change the appearance of the building entrance and grounds to higher level of aesthetic and practicality. 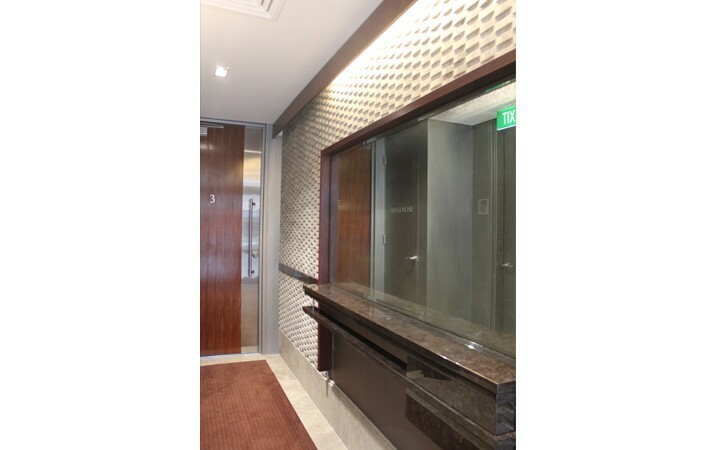 The interior entrance lobby was revamped to include a new stone feature wall and entrance mantle with antiqued mirror and French polished hardwood and custom door. The existing exterior had a series of ramps, platforms and fences creating an unnecessary web of concrete and steel taking up 70% of the building frontage. Because the ramps were part of the existing cast slabs making up the roof structure of the unit below 2RKS retained the existing ramps, removed the existing tiles and waterproofed the substrate and selected new tiles for encapsulation. Then, a custom designed planter pods and lighting were installed within the ramp creating “planting cells”. 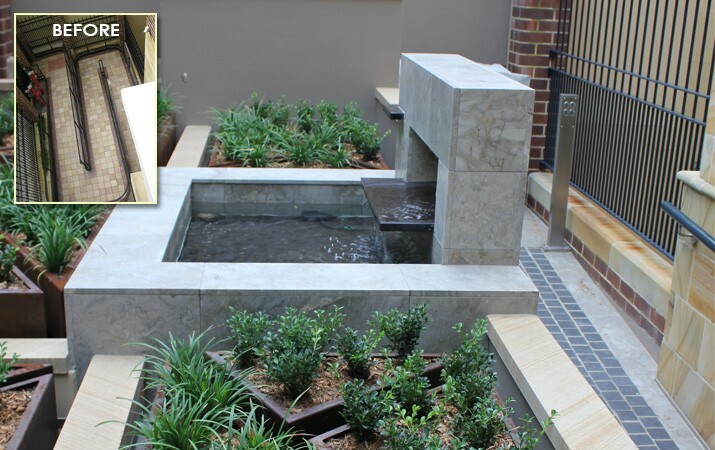 Centered amongst this is a custom water feature designed exclusively for the space using a honed version of the interior polished stone as the interior. All of which allows water to reticulate from the planter cells and existing ramp back to an upgraded storm water system. 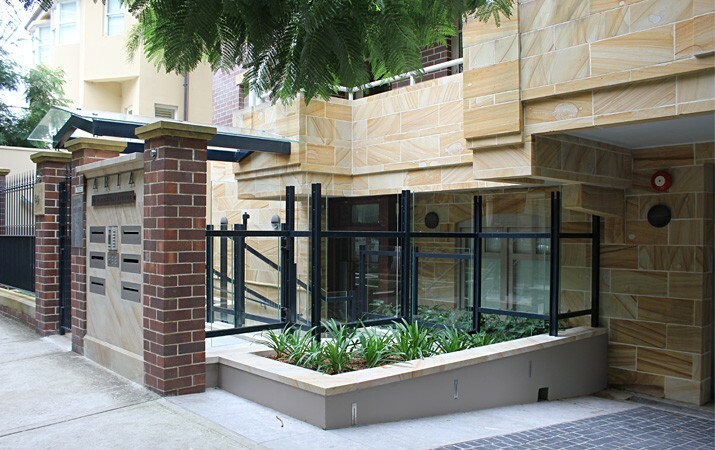 The security fencing was replaced with a custom glazed balustrade and awning system that allows light and visual penetration yet secures the light well and boundary periphery and offers protection from the occupants from rain. 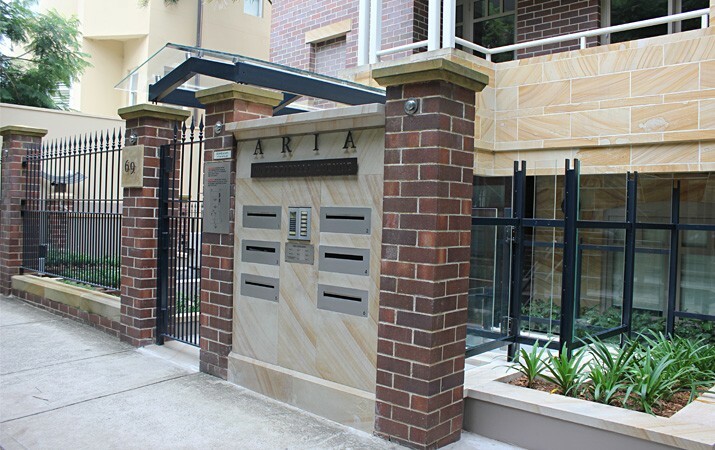 Lastly, a new sandstone entrance “pylon” was designed to incorporate mailboxes, entrance communications and identity. 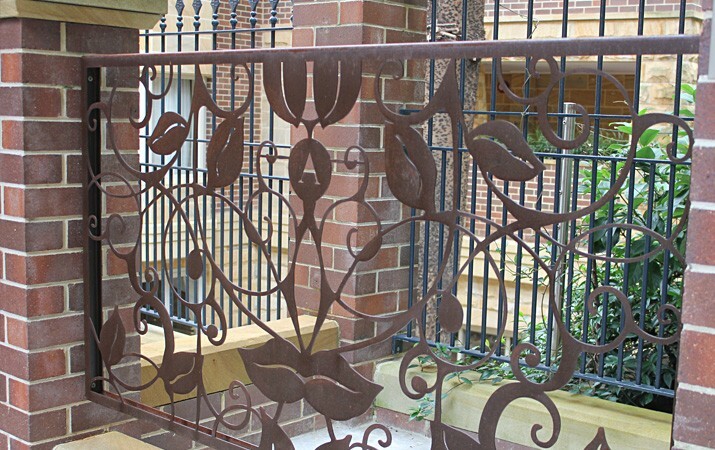 Custom steel laser cut designs and sculpture embellish the site.